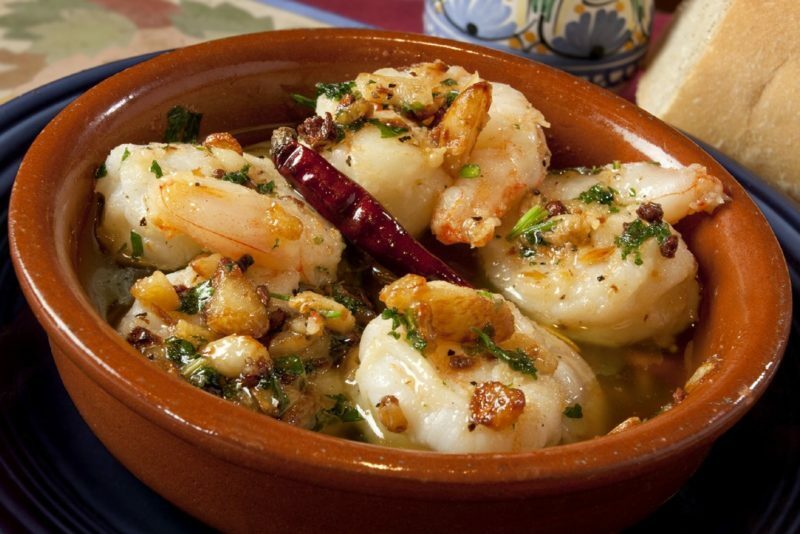 Editor’s note: For the best results, always use Wild American Shrimp from the warm waters of Gulf and South Atlantic whenever you prepare shrimp dishes. Be sure to look for the Wild American emblem or wild-caught, Gulf or South Atlantic shrimp, product of the U.S.A.
Heat oil and brown garlic in a sauté pan. Next, add chili pepper, shrimp and Columbia seasoning. Add white wine, and sauté until shrimp are pink. Add lemon juice and chopped parsley.